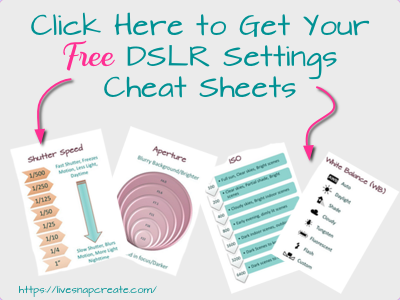 Do you find yourself struggling with your DSLR camera? I know I did when I first received mine 8 years ago. I spent countless hours trying to figure out how this camera was any better than my iPhone. I did finally figure it out but really would have benefited from a beginners DSLR photography course that wasn’t too expensive. There are a lot of courses out there, but most exceed the $100 mark, and at the time I wasn’t really willing to pay that. In addition to the prices, the courses seemed way over my head and didn’t really explain, in plain English, how to use the camera. That’s why I decided to create my own DSLR photography course for beginners. This course is geared towards the Canon camera, (The Nikon version will be out soon) so that you can really learn with specific instruction tailored to your camera. Most courses out there are really general, but this course that I created is specific to the camera. 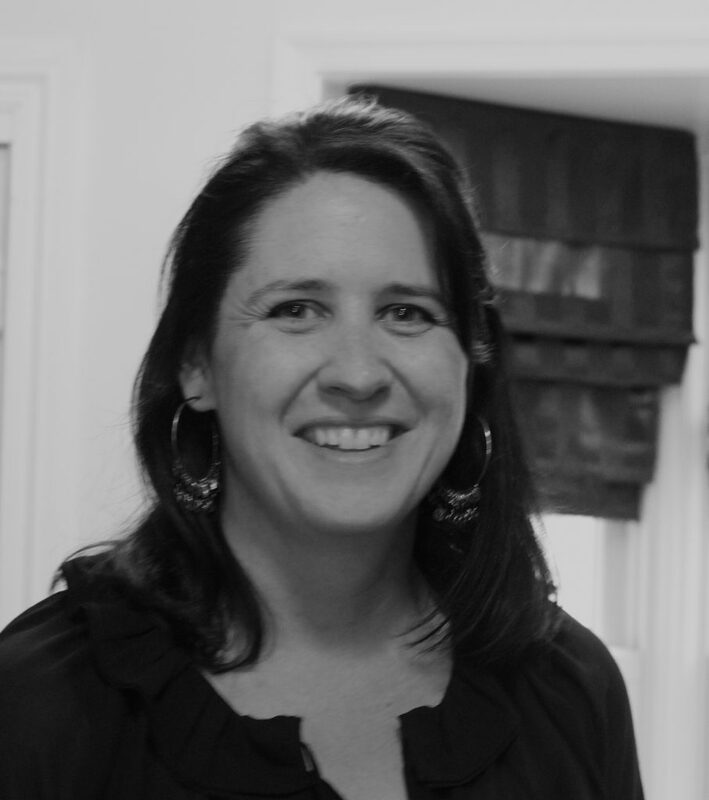 This course is also extremely affordable, priced at just $39. And that is not because the course is lacking! 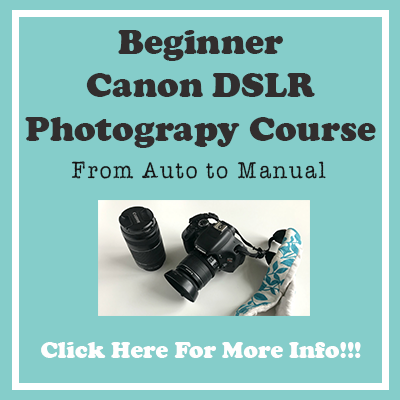 You will learn all the elements of DSLR photography, including how the aperture, shutter speed, ISO, and white balance work and affect your photos. And you will learn this in an easy to understand, plain English, way. You will also learn how to put all those elements together to take great photographs in any condition. We are not all aiming to be professional photographers and I understand that, which is why I explain how to operate the camera and get the photos you want in a clear way. 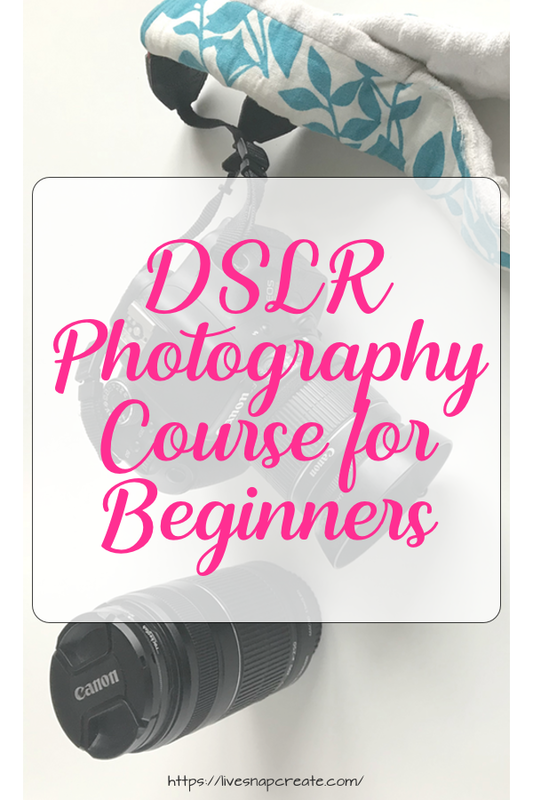 In the DSLR Photography Course for beginners, you will learn how to use your camera by watching videos and using the cheat sheets I provide. There is 1 hour and 45 minutes of video instruction in this course covering the topics seen in the course outline below. I promise you can learn your camera in this amount of time, but this does not include the practice time! 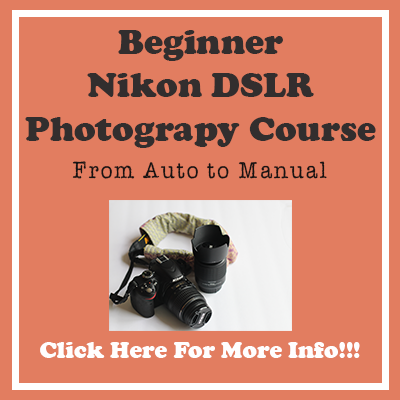 You will need lots of practice, especially if you want to learn to use manual mode, which is covered in this course. I am still practicing! So what will you get with this course? So what are you waiting for? This course is only $39 and will transform your photography skills. 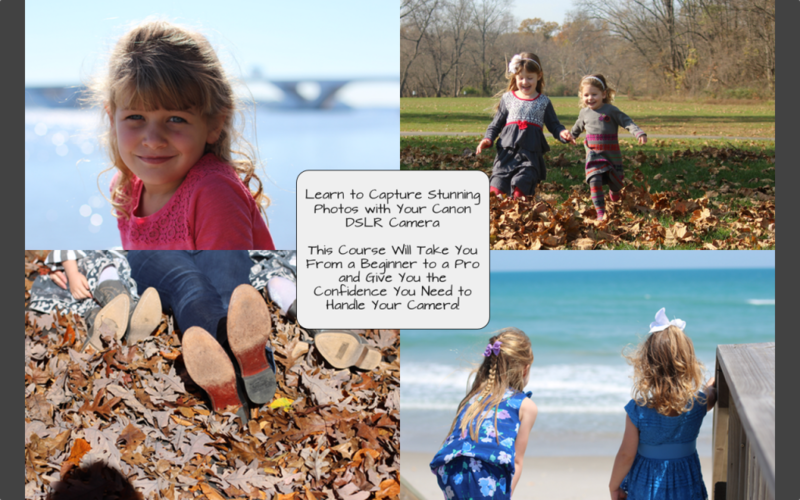 If you complete the course you will be able to stop paying for expensive photographers to take your family photos and empower you to do it yourself. Imagine the money you will save on that alone!!! 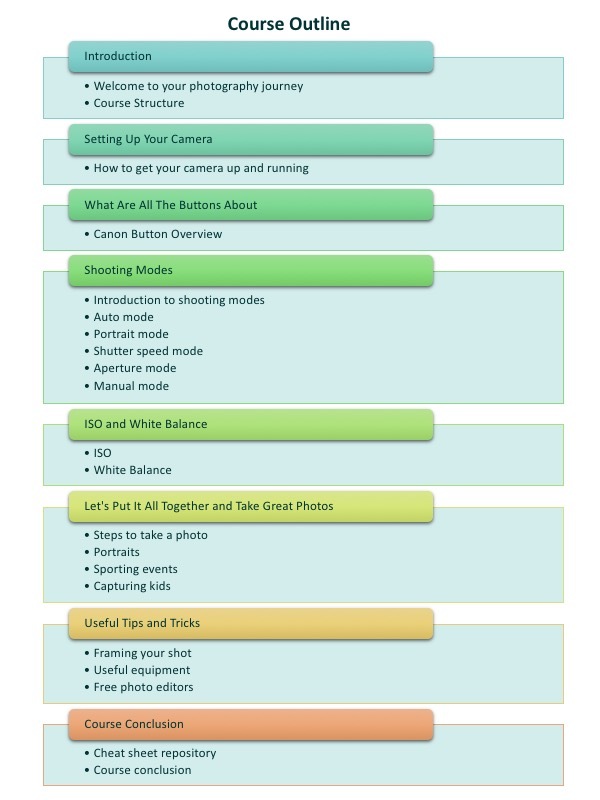 If you would like a sneak preview of some of the DSLR Beginner Photography Course cheat sheets you can click the photo below. If you have any questions about the course please don’t hesitate to leave a comment below.